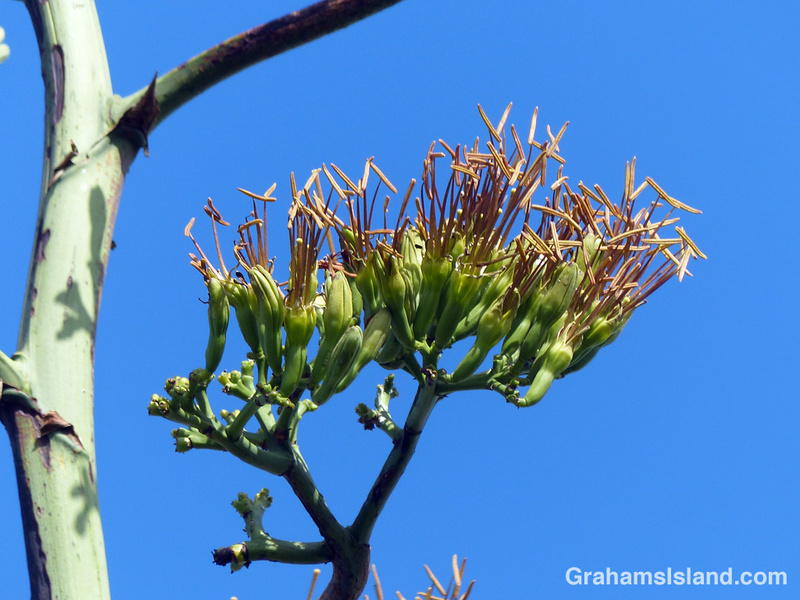 The leaves of agave sisalana are used to produce sisal fiber, which is used in making ropes amongst other things. 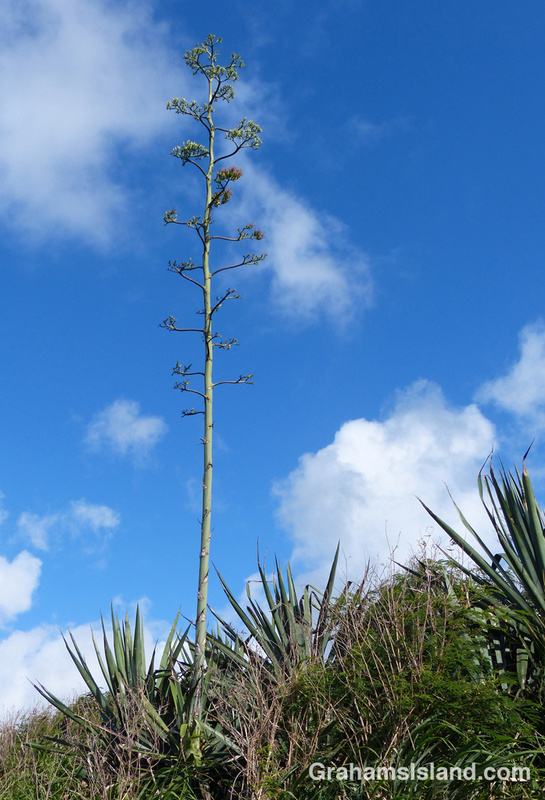 However, what draws attention are the tall flower stems reaching 15 or 20 feet into the air. Around here, strong winds often blow the stems over, temporarily blocking roads and driveways.